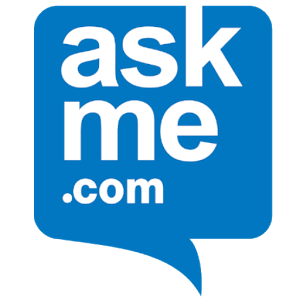 Ask ME is an amazing, awesome and charismatic one stop app for every single needs of yours. Since, gone are the days when people used to refer newspapers for vacancies. Even the era of using multiple apps for accomplishing various tasks of yours has been over. As the time is flying fast and the biggest proof is the advancement and sophistication of many technological inventions. Due to the same, the market is mushrooming is with various apps, but as the saying goes, only the fittest survives and the same holds true with ASK Me as well. Since, it is regarded to be quite a quality app, which has carved a niche for itself. Needless to say, that the app is regularly moving to the path of popularity amongst the youth. Getit info services private limited has come up with this awesome and dedicated app which has been endorsed by Bollywood heartthrob Ranbir Kapoor. The search app is meant for the Indian audience and it is proving to be a top notch classified app which can make any body go “wow” for sure. If you thought that you can’t get anything in life for free, then think again. Since, the app is totally free as Google Play Store is the place where you can get it. The craze of this app can be gauged from the fact that increasing numbers of people are downloading it on daily basis. Unlike the expectations of people, where you might have thought that the App requires extremely high storage space, think again. Since, it only needs 2.4 MB of your coveted phone storage. The app being light weight gels smoothly with all sorts of Android devices, so what if some of them have limited resources. ASK Me is proving to be different thanks to the facilities which this advanced and new generation app has in store for all your burgeoning needs. The world is after social media sites such as Twitter and Facebook and the app gives you the convenience of writing and sharing reviews with your near and dear ones on such sites. Similarly, if you are looking for a job according to your caliber and qualifications you can equally find the same. Amongst the other additional facilities imparted by ASK Me relates to the fact that you can find the best prevailing deals, cabs as well as businesses etc. The app has an electrifying user interface with great capabilities associated with loading the information of just anything you want. Searching for the details of a renowned business? We got loads of information based on the same as now it has raised the shopping standards to an all time high. Hence, associate yourself with the ASK Me app and experience the pleasant change in the process as well, like the way it has done to us.